Holidays focus on local culture and people, protecting the places we visit and making sure monies go to independent businesses, communities and support conservation. We protect the environment and endorse cultural attractions by promoting good social norms, so that future generations can enjoy the natural wonders of our planet. Leave only footprints and take only pictures. Our team of professionals, guides, and suppliers strive to ensure that no removal of any natural, cultural, or archaeological materials to ensure our environment looks and functions the same before and after the visit. Our guides and staff that welcome passengers teach them our "do no harm" to ensure compliance. Committed to complying with all relevant legislation and/or regulations to ensure sustainable tourism. We maintain close contact with our business partners to implement policies that guarantee positive results in the future. Reduce transportation-related energy use and greenhouse gas emissions by employing environmentally friendly motor coaches and partnering with preservation and sustainability initiatives. Many of our suppliers have been pioneers in this field and have shown great commitment to sustainability, thereby earning national recognition. We recommend hotels, lodges, and activities that have been awarded the Certificate for Sustainable Tourism (CST) by the Costa Rican Tourism Institute. To protect children and adolescents from commercial sexual exploitation in travel and tourism in Costa Rica. It is a commitment from the Costa Rican tourism industry to discourage and sanction commercial sexual exploitation of children and adolescents, and an axis for responsible and sustainable tourism. The Corcovado Foundation sea turtle conservation and volunteering program is now in its 13th year and they need all the possible help! We at ARMOTOURS are part of conservation: Excelente DMC and the ARMOTOURS Group have been involved in the conservation of endangered sea turtles in Costa Rica’s spectacular Osa Peninsula since 2013. Also we have adopted two turtles, the first named ARMOTOURS and the second Excelente DMC. Recently we received news about Excelente, a Lora turtle, found in Playa Río Oro and we were informed of its development (shell now up to 66cm long and 75cm wide, and left nest of 134 eggs, birth of nestlings on August 30, 2017). We as donors, volunteers, and members are a driving force behind the environmental efforts. The passion to protect nature and to make a better world is key in our work. With our help year by year we contribute to combine environmental education and conservation activities to give local communities a viable socioeconomic alternative to poaching. The following organizations take responsibility to preserve the attractions that our tourists experience and our passengers can get involved directly through additional contributions. ​The Fundación Neotrópica is a nonprofit Costa Rican organisation (NGO), dedicated since 1985 to promote activities that affect the economic and environmental assessment of natural resources and the fair and equitable sharing of environmental goods and services. The Fundación Neotrópica promotes social dialogue and self-management for conservation and the fair and equitable sharing of benefits generated by natural resources. 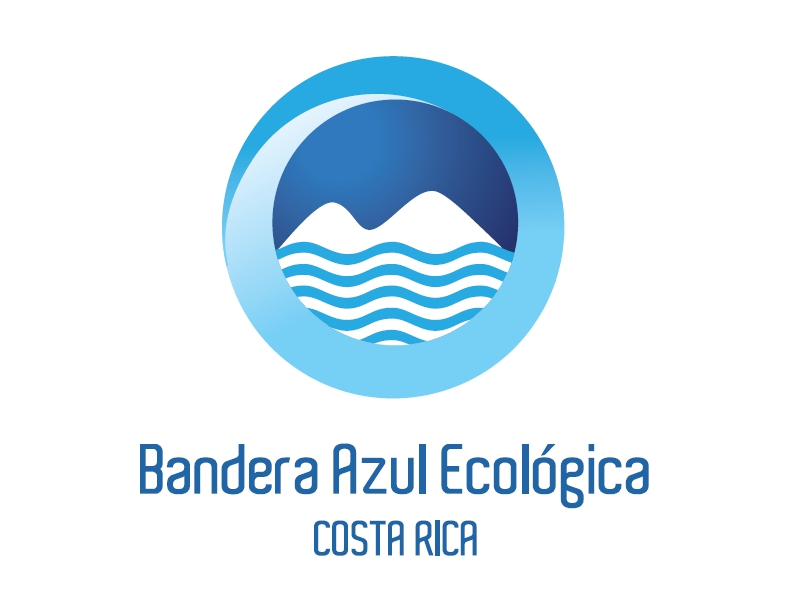 The Ecologic Blue Flag Program was born as the answer to strengthen public health and tourist activities. Today it has ten categories: •beaches •communities •neutral weather •education centers •community health •micro drainage basin •sustainable homes •special events •protected natural spaces and • climate change. It is administered by several institutions from the public sector and private organizations. Its annual award program for beaches had 107 winners in 2017.